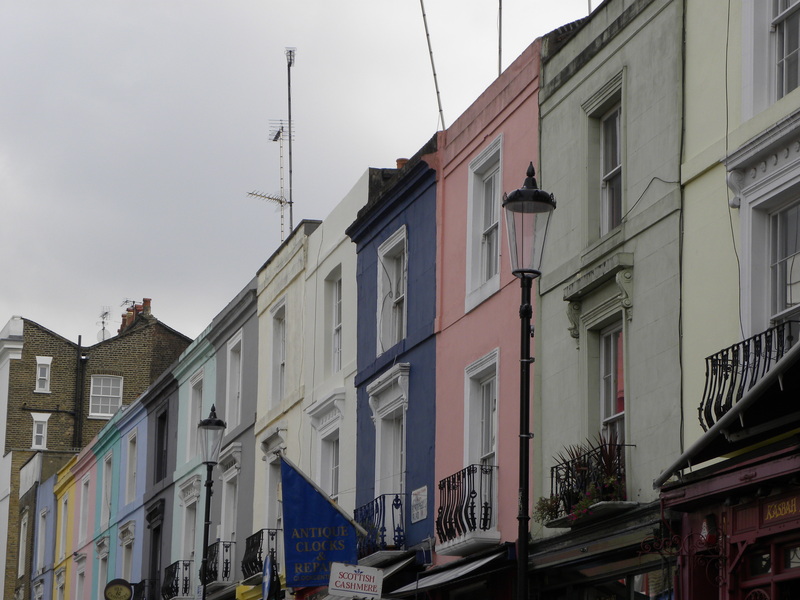 Portobello road and market can be just wonderful at times! I absolutely love, love, love the fact that the buildings come in a range of delicious candy colors and the sheer randomness of some of the things you can find in that neighborhood. Despite the quirkiness in that neck of the woods, there’s also a certain cool classic vibe to it. 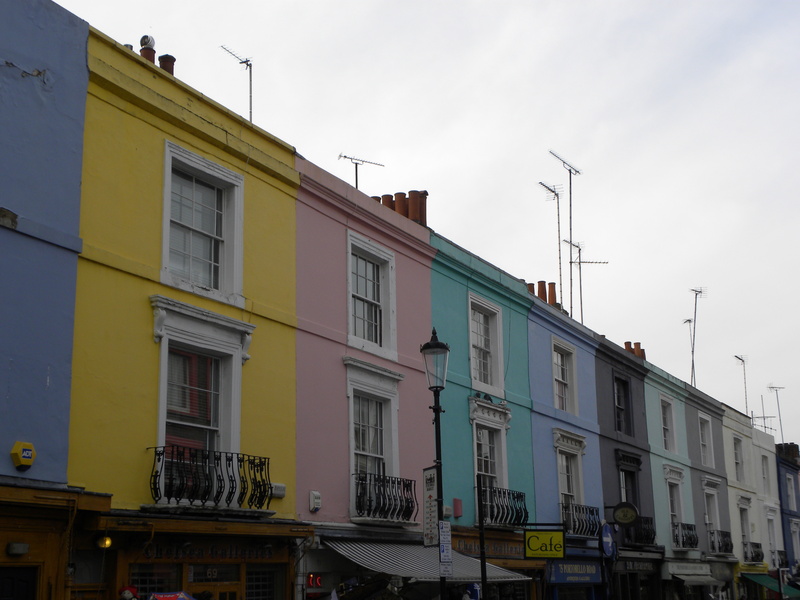 The fact that they have a Hummingbird Bakery with cupcakes as colorful as the buildings is certainly not to their disadvantage. Whoopie pies, brownies, cakes, and cupcakes have a magical power that can transform any average day into a stellar day. The same goes for Gelato Mio, another favorite of mine that serves some truly tasty Italian ice cream. I’m a total die hard fan when it comes to their coffee and hazelnut flavors. For when spring/summer decides to come around I can’t wait to try their sorbets, especially pear and raspberry. Yum, I can’t wait to binge my little heart and stomach out! 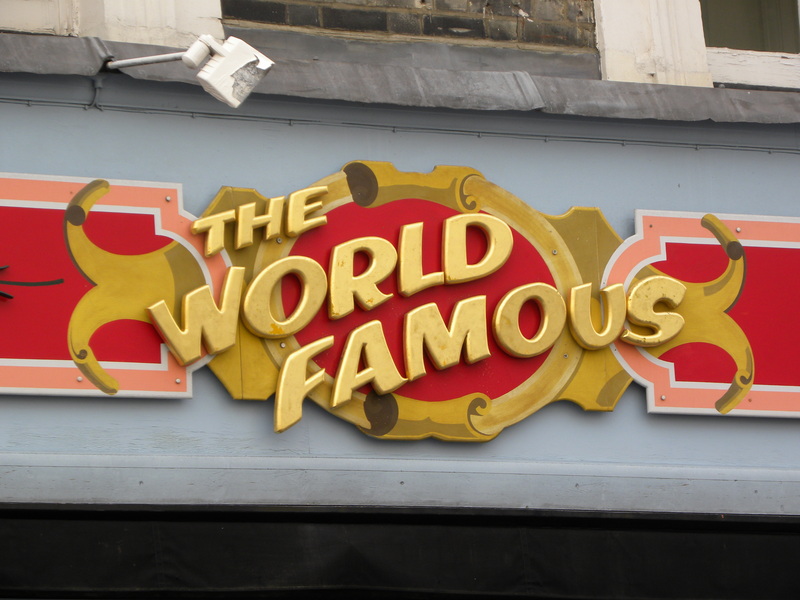 If you like antiquing, this is the perfect place for you. 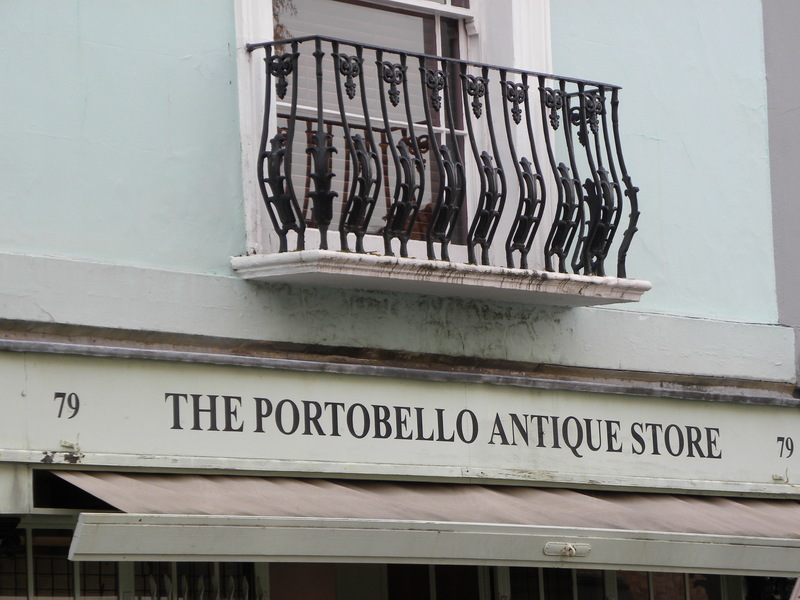 Portobello Road is notorious for it’s unique assortment of antiques. 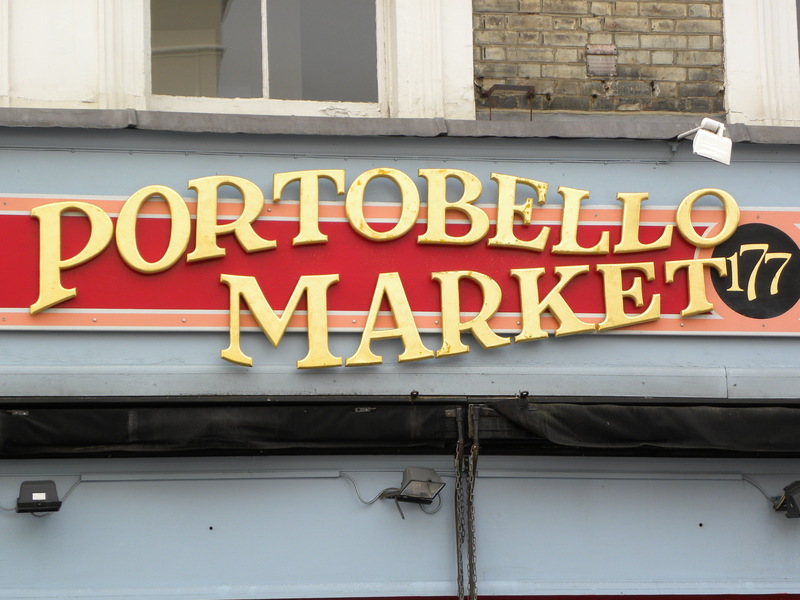 Portobello was even featured as the go to place on the tv-show Million Dollar Decorators by interior decorator to the stars Martyn Lawrence Bullard. Intrigued yet??? 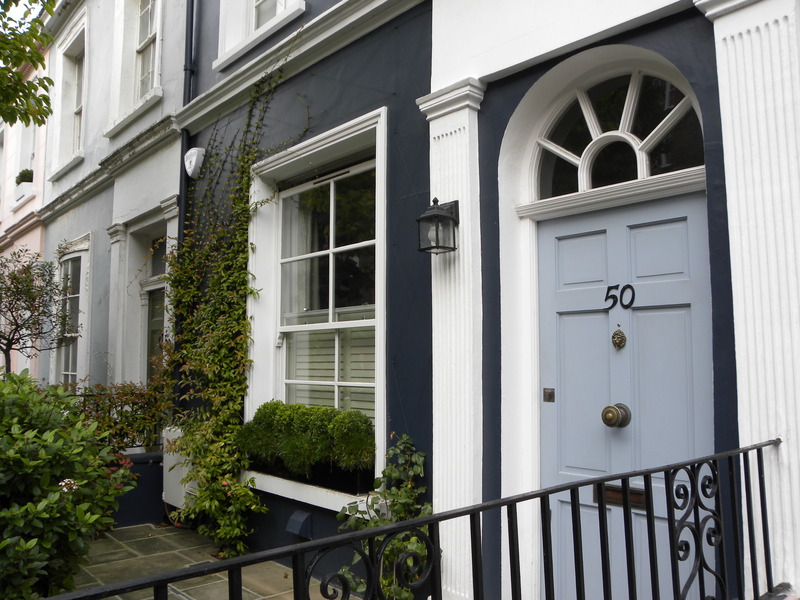 This entry was posted in Inspiration, London, Shopping and tagged Antiques, Inspiration, London, Notting Hill, Portobello Market, Portobello Road, Shopping, The Portobello Antique Store, The World Famous Portobello Market by linneabylinneanilsson. Bookmark the permalink. I looove Gelato Mio. So yummy! The colours brighten a winter day. And probably proclaim their owners like to do their own thing and not be cowed by conservatism.